Better Late than never…Honda Motors is finally bringing a sub 5 Lakh car to India – something they should have done a very long time back. Not having a low cost car in a fast growing market like India has cost them dear. Their market share in India currently zilch, atleast not what you would expect from a Leading car manufacturer in the world. 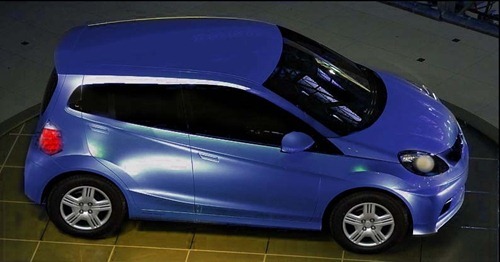 Honda had pinned quite a lot of hope with Honda Jazz, but it was a disaster. The price point of the hatchback was way too high for Indian Audience to swallow. Having said that, they seem to be mending their mistake, with introduction of small Honda car that is expected to cost less than 5 Lakh rupees. The new Honda “Brio” was which was unveiled to the world at the 2010 Bangkok Motor Show looks like a promising muscular small car. According to CEO of Honda Motors, the car has been tailored to meet requirements of Indian Market and will be expected to launch by 2011. Interesting aspect of this launch will be that Honda will leverage the resources that it has cultivated through its motorcycle business and utilise local sourcing of parts and materials. 80 percent of the car components will be localized. It will also use the vendor base of its two-wheeler business in India to make the car price competitive. It is interesting to note that Honda Brio has been unveiled, just before Toyota “Etios” launch, which incidentally, is in similar price range. Toyota Etios will be launched in Sedan as well as Hatchback versions and like Honda are looking to capture significant market share with low cost Etios. What is your take – Will Honda be able to capture market share with “Brio”? Jet Airways, Jet Konnect, Jet Lite – Is there really any difference? I don’t think honda can do any miracle with the introduction of this car if this car is introduced with this price tag of 5Lacs. honda is of course popular for its style quotient, comfort and low maintenance, bt this price of 5 lacs will be too much for indian customers to accept. if they keep its price around 4 lacs that means if they penetrate in the segment where we have wagon R, I 10, ford figo, it can get its space there. wid 5Lacs they ll be doing the same mistake wht they did wid jazz. I don't think honda can do any miracle with the introduction of this car if this car is introduced with this price tag of 5Lacs. honda is of course popular for its style quotient, comfort and low maintenance, bt this price of 5 lacs will be too much for indian customers to accept. if they keep its price around 4 lacs that means if they penetrate in the segment where we have wagon R, I 10, ford figo, it can get its space there. wid 5Lacs they ll be doing the same mistake wht they did wid jazz. Wow. Finally Honda has got into small cars business. This is a very latest design style in Europe. Looks great. If Honda can manage to pack 5 passengers in it as they say, this will be great car. waiting for one.